You'll come home with a million sun-drenched memories of a holiday in Hawaii. Here are 10 mementos you can take with you. They may be the most common symbol of Hawaii, and you'll find pineapples, pineapple products, and pineapple motifs everywhere. Pineapples are actually native to South America, and their Hawaiian name 'halakahiki' means 'foreign fruit'. They arrived in Hawaii in the 1500's, but it wasn't until James Dole, the 'Pineapple King' came to the islands in 1899, that Hawaii became synonymous the world over with pineapples. At one time, Hawaii produced 75% of the world's supply. Hawaii is no longer the world's big kahuna of pineapple production. But the second most visited attraction in Hawaii is the Dole Pineapple Plantation Experience. Roadside stands sell delicious, perfectly ripe pineapples you'll enjoy during your stay, and that's where they'll have to stay. You can't take fresh fruits off the islands. 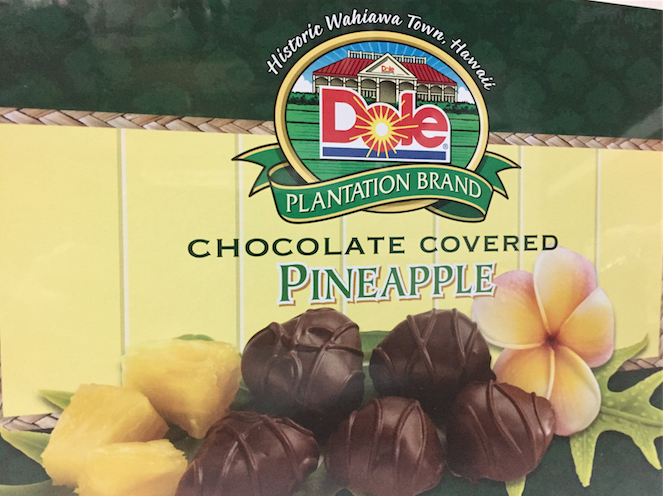 But you can take candied and chocolate versions of pineapple with you – as well as an unlimited selection of items with pineapple motifs that will remind you of lazy days in the Hawaiian sun. The Hawaiian islands are America's tropical paradise, with market and roadside fresh guavas, papayas, mangos, bananas, lychees, passionfruit as well as pineapples. Like pineapples, they are not native to the islands, although bananas were one of the dozen staple crops brought on the first journey to Hawaii by Polynesians. Other tropical fruit came later and many have even gone wild, even becoming invasive in the wilderness. The same no-fresh-fruit in your luggage rule applies. Fresh tropical fruit juices make delicious toppings on Hawaii's favorite refreshing treat: shaved ice. 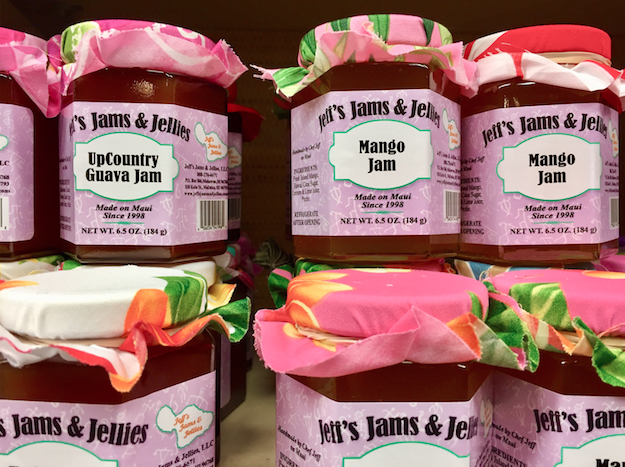 And look for tropical fruit preserves to take home to relive your vacation every morning with your breakfast toast. Sustainable local woods, especially local, fast growing and immense acacia koa are turned in the hands of artisans into both beautiful and useful memorabilia of your Hawaiian vacation. 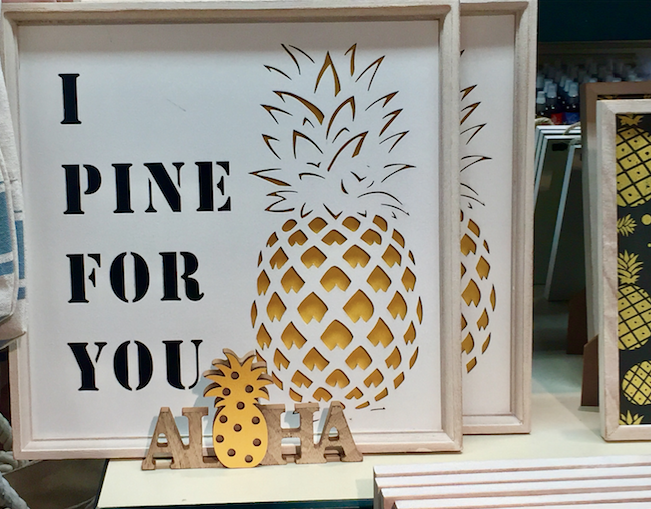 From salad tongs and bowls, fruit and nut bowls, platters, yes, even in ubiquitous pineapple styling, Hawaiian tropical wood products make a warm and heart-warming souvenir for yourself or family and friends. 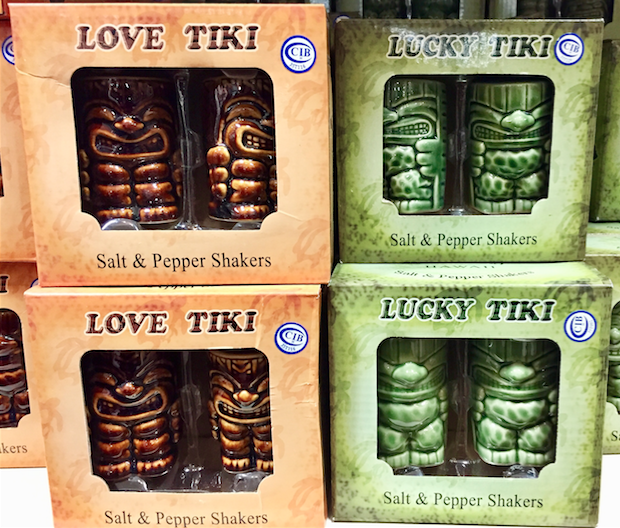 Much of the world associates tiki culture with the Hawaiian islands. Tiki culture is not actually a real 'thing', in fact, it's a mash up of elements, some real and some imaginary, of stylized elements of the Pacific tropics, like statues, sweet and complex cocktails, tropical décor including bamboo, flaming torches, brightly patterned fabrics (see: Hawaiian shirts), rattan furniture, and bead curtains. 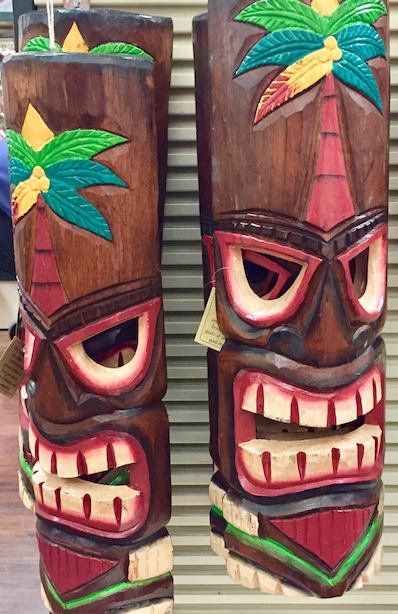 Tiki culture developed in the mid-1900's, and picked up speed with a post-war fascination with the romantic and exotic - brought home by returning US troops from the Pacific war theater and exaggerated by Hollywood. Now, tiki has a fun, retro vibe, and is a perfect theme for a back yard barbecue, complete with mai tai's garnished with fresh fruit and tiny umbrellas. 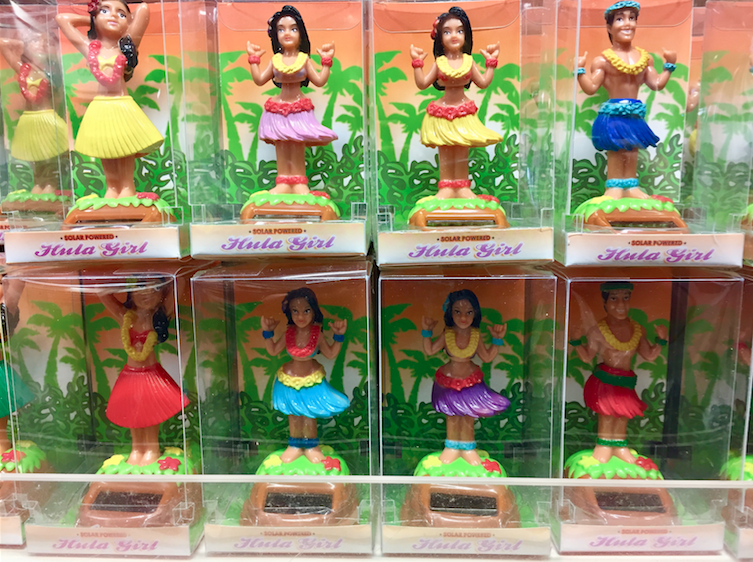 The adorably kitschy, wiggling, dash-top décor is a fun and retro memento of one of Hawaii's most powerful, unique and authentic traditions: the hula dance. Accompanied since the 19th century by western-influenced instruments like the ukulele, Hawaii's hula is a complex and ancient dance tradition, where hand movements can represent the swaying of a tree or wave in the ocean, even an emotion, along with unmistakable foot and hip movements. Hopefully, you'll experience a hula performance live in Hawaii. The hula girl (or guy) on your dashboard gives you fond memories and a little hipster credibility. Channel your inner 'Magnum' or Don Ho with the modern man's loudest item of clothing, worn un-tucked and cool in the tropical heat of Hawaii. 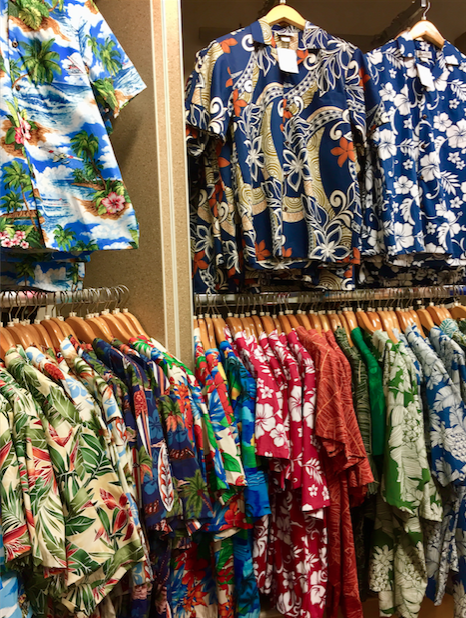 Traditional and local Aloha shirts are more muted in tones and style, and are considered formal wear locally, equivalent to shirt, tie and jacket in all except the most formal of scenarios, perfect for the local climate. The Aloha shirt is the top textile export from the islands, so you'll be in good company if you add one to your wardrobe at home. Not everyone can pull off an Hawaiian shirt. 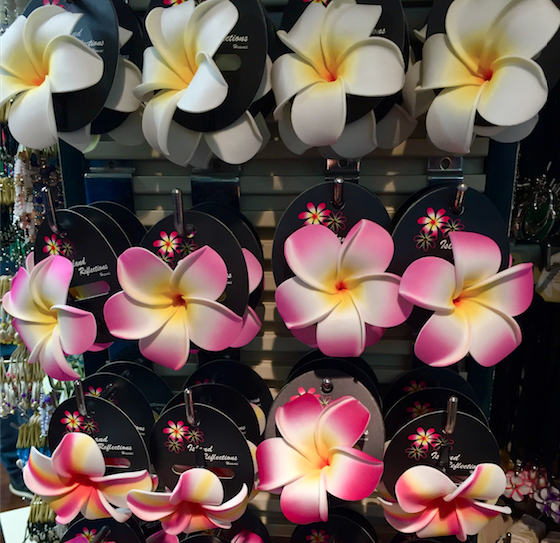 The rest of us may have to make do with more subtle expressions of Aloha style: plumeria/ frangipani flower hair clips, and shell or silk flower leis. The custom of lei floral and leaf garlands was brought to the islands of Hawaii by settlers who made the incredible journey from Polynesia in canoes. They've become the symbol around the world of welcome to America's 50th state. The word in coffee in Hawaii is 'Kona'. Various efforts on the islands in the 19th century to grow coffee failed, but the slopes of the Kona or west side of the island of Hawaii, where sugarcane was unsuccessful, is ideally suited to coffee production. 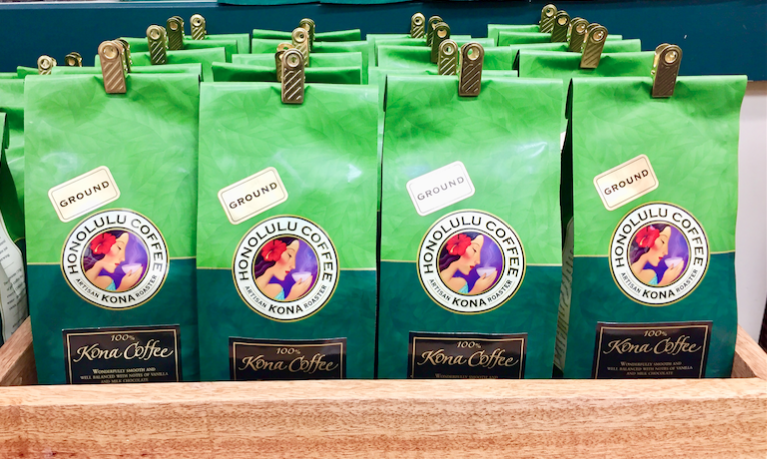 The Kona district became the center of coffee production in Hawaii and is Hawaii's coffee designation of origin; it must be grown in a two-mile-wide belt of terrain at 700-2000 feet of elevation to be labeled Hawaii's most prestigious coffee. Kona coffee grows on west side slopes, and the opposite, east side has conditions conducive to growing tea. Tea production in Hawaii is much more recent, and growers are experimenting with black, green, oolong teas, scented with local flowers and fruits, so tea drinkers also have a local hot beverage to enjoy on island or to take home. 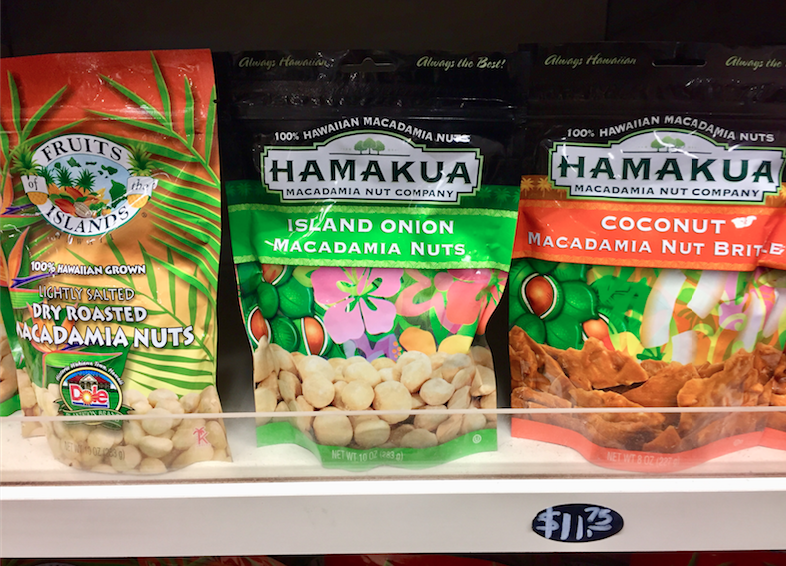 The pale, round and incredibly rich macadamia nut – sometimes even called the Hawaii nut - is also associated with classic Hawaiian snacks and cooking. But it, like the pineapple, originates elsewhere. Macadamia was introduced to Hawaii from Australia in the 1800's, and a local macadamia nut plantation just after WW2 helped spread the popularity of Hawaiian macadamia nuts through the US. 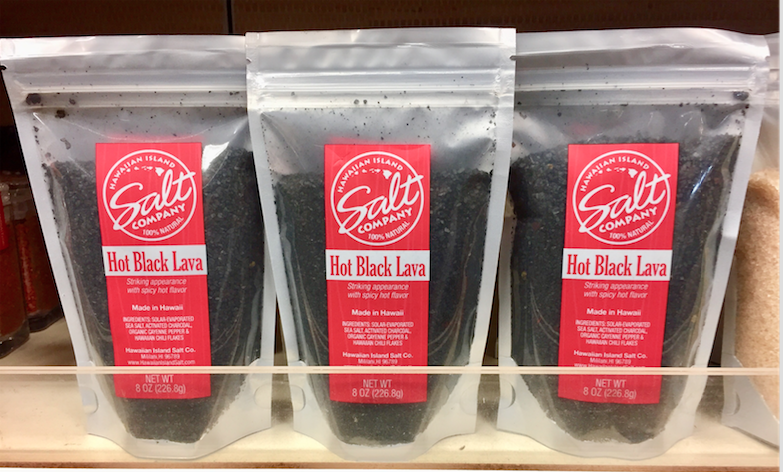 Enjoy them freshly roasted and take them home in cans, made into brittle, chocolates and countless other reminders of the flavor of Hawaii. Hawaiians have been living off the land since their brave Polynesian ancestors made their way by celestial navigation thousands of miles across the Pacific. Harvesting sea salt has always been a fundamental part of island tradition, and continues today, with varieties of sea salt highlighting different flavors and unique characteristics of the areas they are harvested. The perfect foodie souvenir! The soundtrack of any trip to Hawaii is the one-of-a-kind tunes of a ukulele. Looking like a miniature guitar, the ukulele is a Hawaiian adaptation of string instruments brought to the islands by Portuguese immigrants in the 19th century. The word has a whimsical meaning: 'jumping flea', thought to reflect the movement of a player's fingers. Ukulele music was popularized by the patronage of King Kalakaua in Hawaii, and it spread to the US and the rest of the world in the early and mid-20th century, along with post-war fascination with the South Seas and 'tiki' culture. Even Elvis famously played the ukulele in Hawaiian-themed performances. 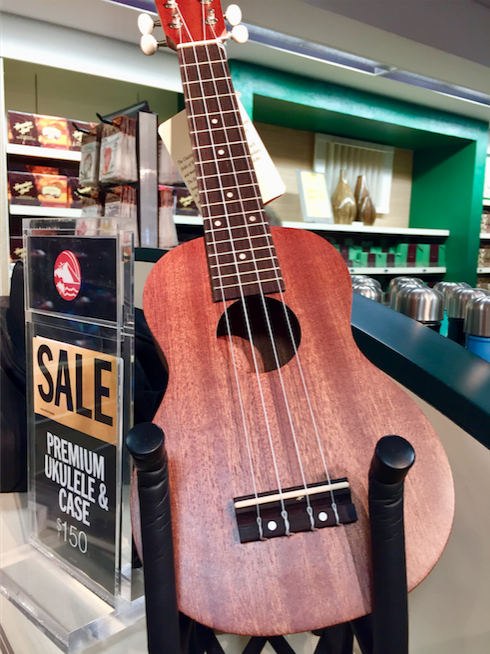 You too can buy a ukulele in Hawaii, even visit an artisan workshop where they're made from traditional acacia koa, and take lessons, to liven up your next summer barbecue with the ultimate sounds of the Hawaiian tropics.